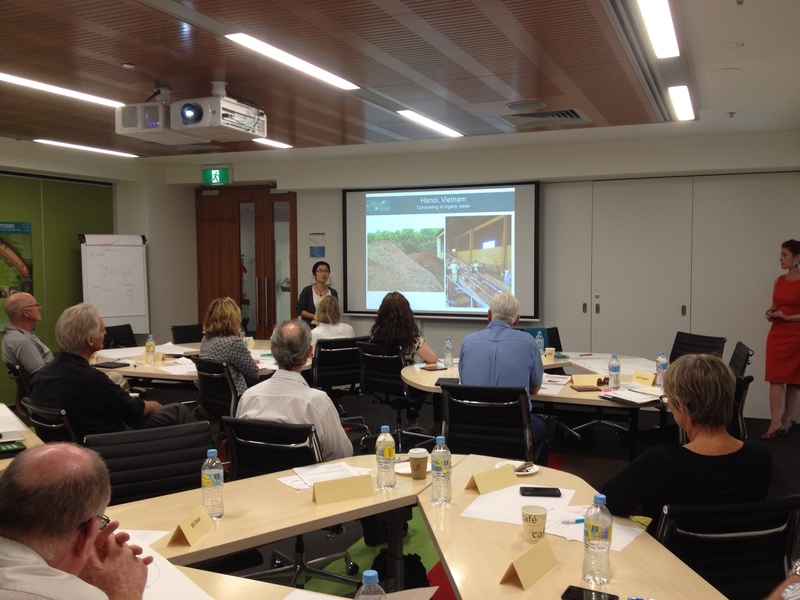 Two weeks ago was our big Sydney stakeholder workshop for the P-Futures project. As such we also had field visits to better get to know the Greater Sydney Basin (which has especially nice for me and our Vietnamese colleague who flew in for the workshop as it gave us a chance to tour the city in a very different way). 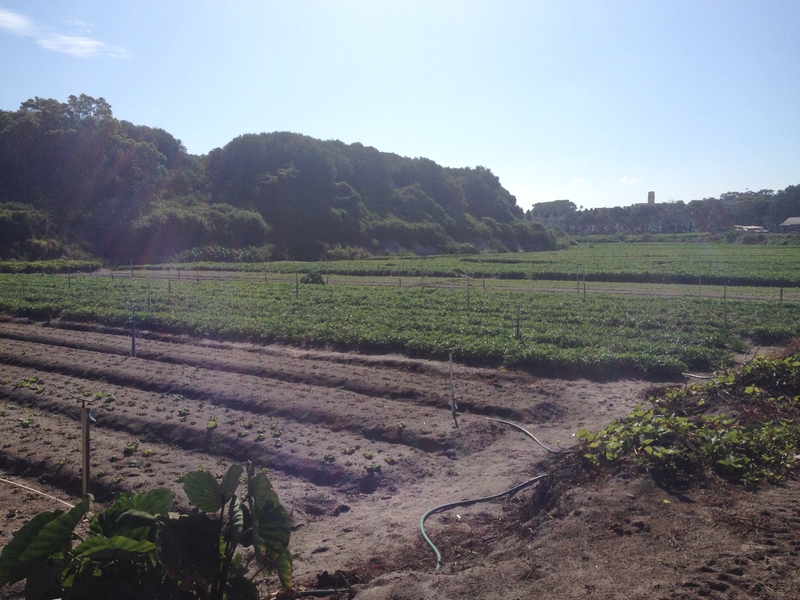 We visited a few farmers, a wastewater treatment plant, and suburbs of Sydney. The most sticking thing for me was the difficulty of preserving urban and peri-urban agriculture in an urbanizing region and within a global market place. There are so many important services (ecological, social, cultural, and, financial) that agriculture in and around a city can provide and it makes me sad that they are not always highly valued. Decreasing agricultural land decreases resilience of urban food systems, as well as our capacity to recycle P. I hope that our project will help change policies and practices to ensure a vibrant, dynamic, and resilience urban food system. 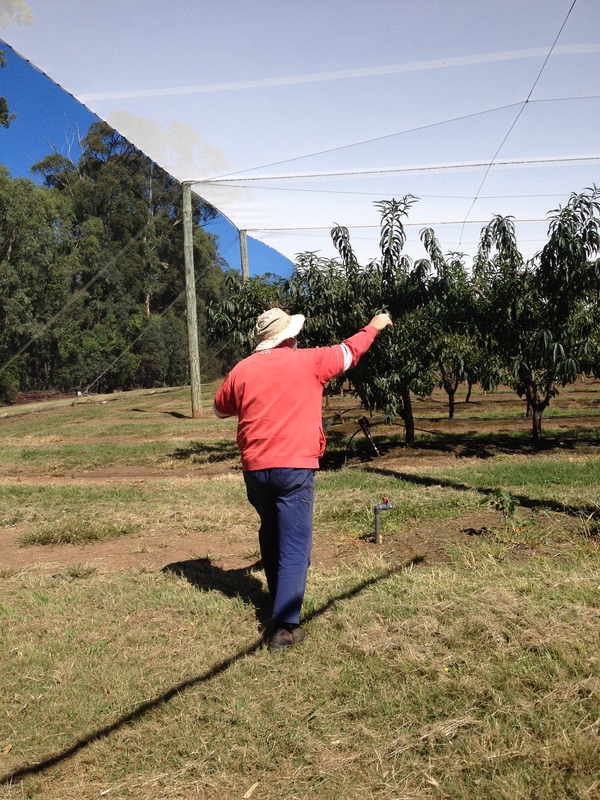 Most wonderful orchard and owner in the Basin (in my opinion). The workshop itself went very well. The 3rd time is a charm! It was still a lot of work to organize it, but running it really came together (we had wonderful people helping us facilitate and I am so thankful for that). One participant even told us it was one of the most professional workshops he had ever attended! In addition to the day going well, I also noticed that we are getting better at identifying what we need to document for ourselves (the nuggets for the proposal or for how to move the project forward). Although my project has changed to mapping, rather than “full on” computer modeling, a recent future earth post on agent-based models to help urban planners makes me curious about how such systems can help us make different decisions. Very interesting research, with McGill authors, published showing that high nutrient concentrations are more important that high temperature in the occurrence of cyanobacteria (which are toxic) in Northern lakes. As I will be working on nitrogen when I start a new position in July, I was interested in reading how ground-level ozone peaks may change to winter because of decreased NOx emission in the US (although I do still have to be looking for permanent jobs and think about how to interview). There is also carbon being lost of the atmosphere because of too much N and P pollution in our waterways, while P is sequestered by sponges in reefs (bringing me back to my undergrad love of marine ecosystems!). Although there were data available to do the studies mentioned above, changes in the Canadian census put in peril our capacity to do research now and in the future. Also a couple of papers in Science, one about the importance of bridging disciplines (and the particular threat or goal examined) to effectively tackle global environmental and sustainability challenges, and another looking at the need to work closely with policy-makers to protect ecosystem function by supporting flexibility in the face of large uncertainty.